Tote Boxes - (400 x 300 x 252mm). 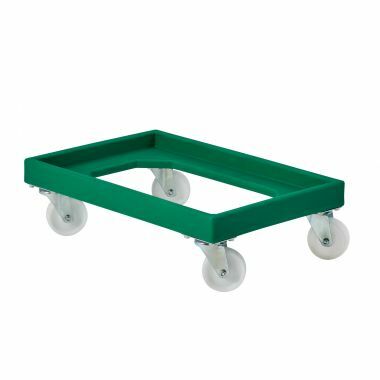 Heavy duty construction ideal for use within industrial environments, these plastic attached lid tote boxes offer a perfect storage and handling solution. Fantastic storage and handling solutions especially when space is limited, these tote boxes are well designed for use in a number of different environments. Their ability to save on huge amounts of space when being stored or during transit makes the tote box an exemplary choice of storage container. The tote boxes are designed to be securely stacked on top of one another when they are full and their standardized footprint allows them to be efficiently stored on pallets. They are also able to nest inside one another when the tote boxes are empty and the lids open, taking up a fraction of the storage space required. 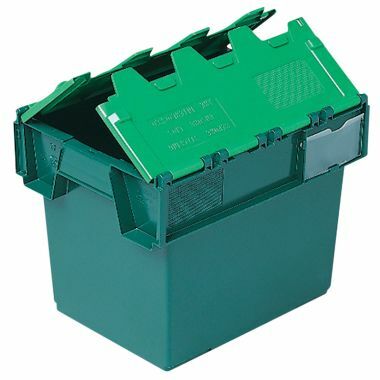 The attached lid tote box is manufactured from a hardwearing and long lasting plastic and its heavy duty construction is able to withstand the strains of everyday use within industrial environments. The tote boxes are specifically designed to be re-used again and again, making them invaluable within the storage, transportation, distribution and removal industries. Available in bulk quantities these plastic tote boxes are also incredibly cost effective. Why buy Tote Boxes - (400 x 300 x 252mm)? 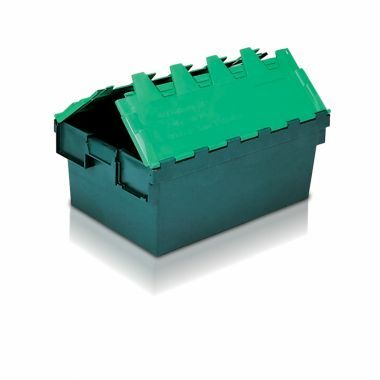 Heavy duty construction – The plastic material from which these tote boxes are produced offers a long lasting and hardwearing solution, well suited for use within industrial environments. Stack and nest – Save on large amounts of essential storage space with these exemplary plastic tote boxes. Designed to stack securely when full and the lids closed, or nest when empty these tote boxes save space whilst in storage and during transit. Variety of different options – Choose from a wide range of different sized and styled plastic tote boxes. 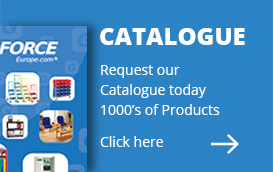 G-Force Europe look to offer a complete range to suit your requirements, but if you are looking for something in particular call us today and we will be happy to assist you.